Introducing EMSOW, the only A-Z software solution tailored for Point of Care imaging providers. EMSOW was designed with one goal in mind: to simplify and streamline the workflow of imaging providers in a single user-friendly platform. Start today and begin automating everyday operations, decreasing overhead expenses, and giving your bottom line to boost it needs! In contrast to most bulky and complicated medical business management applications, EMSOW allows you and your staff to start working with no lengthy or intricate learning curve involved. EMSOW features an electronic scheduling module with a centralized database of all your technologists, clients and equipment, allowing for the most efficient management of all three. Put the information you need most right at your fingertips. See which technologist serviced an account in a case of misconduct. Resolve any imaging related issues and track technologist’s time spent to evaluate job performance. Easily view and manage your business’s schedule for each and every client within any given timeframe. – our own proprietary imaging system is fully DICOM compatible and seamlessly integrated into EMSOW. EMSOW is compatible with any equipment brand, such as Siemens, GE, Sonosite, Biosound etc. The quality of testing reports is an important part of every mobile diagnostic business. EMSOW packs a set of unique features to allow your business to stand out among the competition. EMSOW’s internal billing system is integrated with clearing houses. You will save on your in-house billing by performing all operations in the same easy environment. EMSOW submits and tracks claims, manages account receivables, and performs collections and auto-postings. Gain control over your business’s financials with EMSOW. See your business’s key financial performance data from anywhere in the world.. Evaluate your business’s overall performance or check individual account performances within any given timeframe. EMSOW puts you in control of your business finance. Dicom Image Viewer is a Java-based utility designed for viewing medical images such as X-rays; thus, its functionality is not intended for the average user as a more technical eye is required to check and interpret the scans. READ MORE ABOUT THIS FEATURE . Managing several doctors can get complicated. 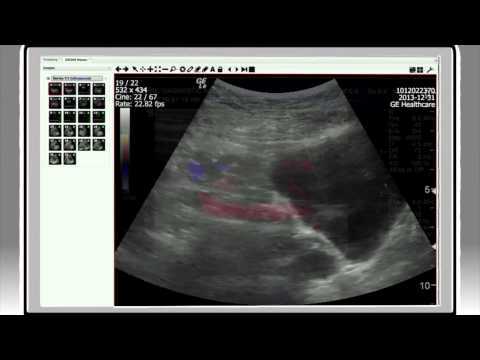 Thanks to EMSOW, I am able to streamline the ultrasound process. EMSOW allows me to organize all the studies in one place and send them to specific reading doctors as necessary. 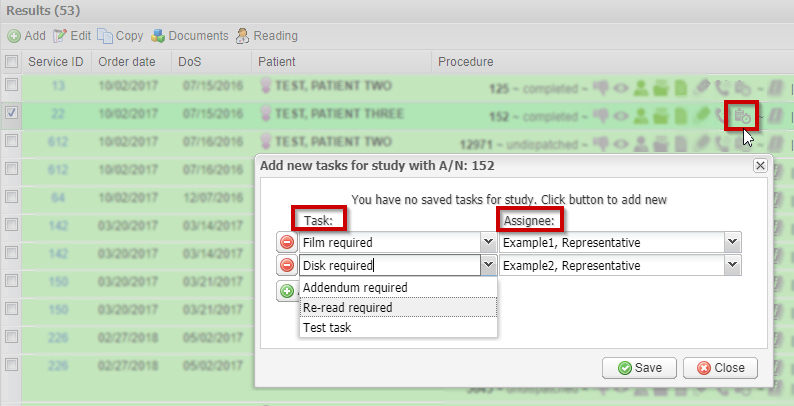 This allows me to eliminate copying of CDs and then worrying about how to get the studies to the specific reading physicians. I now have multiple doctors sending studies to multiple reading physicians INSTANTLY and with ease. Plus, everything is backed up on their end and is HIPAA compliant. I can honestly say that EMSOW makes a doctor's life easier. Operating a diagnostic company in the current healthcare market is extremely difficult. The healthcare environment is undergoing transformative changes. For operators to continue to grow and prosper requires strict control of their asset and staffing utilization. EMSOW software is a key tool that allows managers to effectively manage their staff and assets while improving data transfer and communication with referring and interpreting physicians. For us, it has reduced operating costs while significantly improving quality, and consistency for all of our diagnostic programs. EMSOW has catapulted our company to be a leader in our market. Go 100% paperless and mobile with smartphone apps and modern PACS-integrated software! Document management is a daily routine for any healthcare enterprise. If you run a mobile diagnostic business, you surely have faced many paperwork-related issues. The most obvious of them are workflow complexity and low usability, but that’s not even half of the story. Let’s talk about some hidden pitfalls of paper record-keeping and see how modern technologies, such as PACS and smartphone applications, spare your time and effort and, at the end of the day, cut your expenses. Workflow complexity. Typically, your staff has to create multiple documents for each patient: referral and consent forms, progress notes, eligibility approvals, reports etc. Such documents are often handwritten and manually handled, which, first of all, means time expenditures on copying, sorting, and handwriting deciphering. Besides, all these loads of paperwork have to be stored somewhere and kept in order. With the availability of tablets and smartphones, your employees can transmit various types of data to your company’s information system instantly and wirelessly from any distance. The most common example is emailing healthcare-related images, documents, and notes to the office, which you most likely have had to do. However, there are privacy and usability concerns associated with commonly available email and instant messaging apps. At first sight, it may seem suitable to use off-the-shelf apps, but the app of your choice may lack the necessary tools for your medical business’s specific needs. This software may have a wide range of settings, but as an end user, you are likely to adjust your business needs to the available software features rather than to configure the application according to your demands. Moreover, off-the-shelf programs do not offer any tools to help you with medical-related routine tasks, such as receiving information directly from diagnostic equipment or checking insurance eligibility.